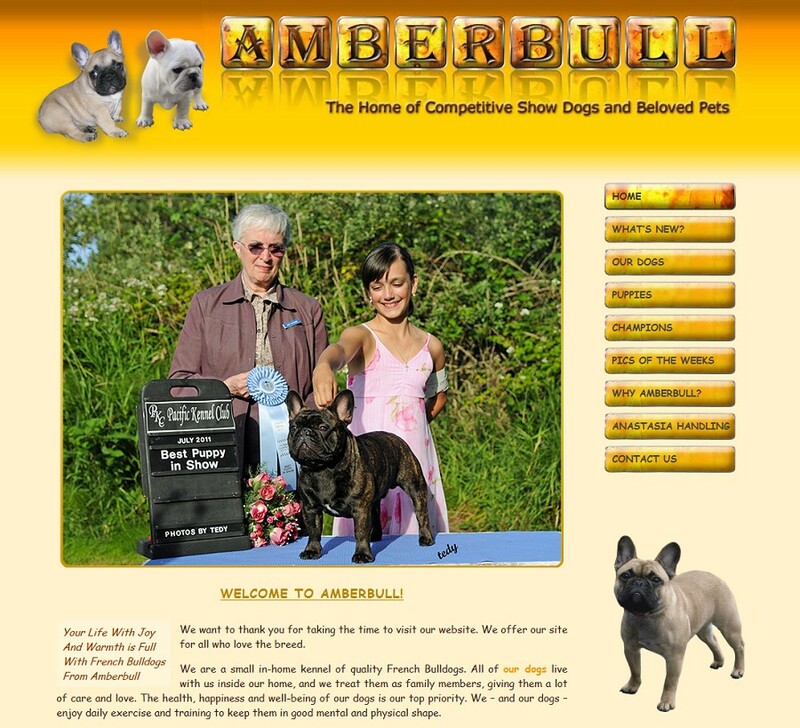 Amberbull is a small kennel of quality french bulldogs in Vancouver. The website includes more than 30 pages, with embedded Highslide JS thumbnail viewer. The site extensively utilizes the all new WP3 custom menu feature.